Your live event can be a mix of pre-recorded and live material. Live intro, switching to a pre-recorded presentation, followed by a live Q&A at the end. It is entirely possible to have multiple recorded elements embedded into one PowerPoint presentation deck. Recommended media format for embedding into a PowerPoint deck is an mp4 file. Supported media recommendations can be found here. 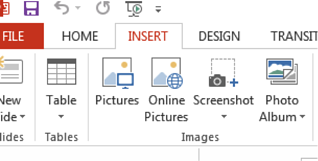 When creating your PowerPoint presentation, via the Insert menu you can add videos into your chosen slide. The video must be set to play automatically, which means that the recording will play itself once that slide is reached in the WorkCast console. Your PowerPoint can now be uploaded to the WorkCast Platform. The WorkCast platform does not support references to online video, or externally sourced video. The video must be embedded in to the relevant slide you wish it to appear. Once your powerpoint is loaded to the WorkCast platform and then attached to your event, you can load the session to test your media. Within the Media Hub module, click 'Start'. This will load your slides to view. Once you see your slides within the media hub module, you should be able to click the left and right arrows to navigate through your slides. To listen to your pre recorded media, you will need access to flash. Is your event fully recorded with no live element? If you have fully recorded your event, for example recorded intro and presentation. And there is no intention of speaking live during any part of the webinar, you can use our scheduled replay service. Scheduled replay works by uploading 1 piece of recorded mp4 media (rather than a powerpoint) and scheduling this to go out at a specific date and time. It removes any manual process as it broadcasts automatically for you. Click here for more information on how this works and how to set it up.